Former president Nelson Mandela will attend an event at Groot Drakenstein jail outside Paarl next Thursday to commemorate his release from prison 20 years ago, Deputy Police Minister Fikile Mbalula said on Friday. President Jacob Zuma will speak at the event outside the prison, which was formerly known as Victor Verster, Mbalula said. “We are expecting the Mandela family and Mr Mandela himself to be present,” Mbalula said in Cape Town. The event would be attended by African National Congress veterans Ahmed Kathrada and Denis Goldberg. Mandela’s wife, Graca Machel, would also attend. A 500m symbolic march would be held at the gathering, which is expected to start at 9am. It was 20 years ago today, or at least this week, when Nelson Mandela’s Liberation Band began to play. While the world looked on, a great drama was building steam in South Africa. Nelson Mandela had been in Groot Drakenstein, better known as the minimum security Victor Verster Prison for 14 months.It was a far cry from the isolated and draconian Robben Island penitentiary in which he spent most of his 27 years in a tiny cell that I visited first in 1995. He had been assigned his own small house with an Afrikaner guard who slowly came to double as his aide de camp. In the last month of his long incarceration, ANC leaders held meetings with him. He was fitted for suits and even driven around outside the prison in secrecy, stopping at stores and petrol stations where he went largely unrecognized because apartheid media laws forbid any photos of him in the press. His release was being prepared and his movement, the ANC created a “reception committee” to organize for his transition from prisoner to political leader. While the media focus was on Mandela as a heroic personality, his release was not just given by the Apartheid regime. It was won. Years earlier, the ANC made the decision to mount a campaign around him, assuring he would become a well known personality, and soon the world’s most famous celebrity. His life story became the stuff of legends. His face was on posters, his name morphed into brand status. A lawyer by training, he had himself negotiated the terms of his release—and, earlier, the release of his key comrades with government ministers and officials. There had been scores of secret meetings in prison and out. He had refused all conditions including the demand that he forsake violence. Beyond that, other forces were responsible for creating the political conditions that doomed apartheid. A global anti-apartheid movement was not only protesting but demanding sanctions. When the Chase Manhattan Bank refused to roll over government loans, the hand writing was on the wal. The pressure was building. Largely unknown is the role that the demand for cultural sanctions had played as a high profile part of this campaign. I was privileged to have played a role in the Sun City Project which mobilized 54 well known artists, under the leadership of Little Steven and Producer Arthur Baker to popularize the need for sanctions with the Sun City song and video. That was in l985. It contributed to the political environment that lead the US Congress to override a veto by President Reagan of a Sanctions bill submitted by Ron Dellums. Dellums and other black leaders in DC had been arrested sitting in at the South African Embassy. Anti-apartheir groups protested on campuses across America. At the same time, South Africa’s townships were fired up by a campaign to make the country ungovernable. There was violence and mass arrests with 14,000 largely young activists in jail. 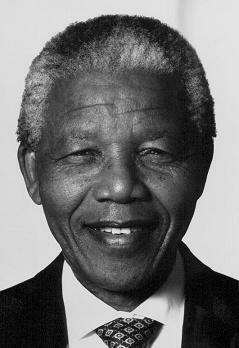 This led to international attention and pressure from the United Nations which sent eminent persons to meet Mandela and push for a resolution of the deepening crisis. Also outside the country, the ANC’s guerilla force stepped up its offensive as the Pretoria government retaliated with bombing attacks on the neighboring Front Line States. A campaign of destabilization was underway with South African backed proxy wars in Angola and Mozambique and covert assassination squads unleashed against activists. Leading anti-apartheid figures were killed including whites like David Webster in Natal and Ruth First in Maputo. Steve Biko had been murdered earlier. In 1986, I toured Southern Africa with Reverend Jesse Jackson to produce a report on this largely unreported war that led to billions in damages in poor countries for ABC’s 20/20 program. I helped a rap groups Stetsasonic produce a video on the song A.F.R.I C.A, educating young people about the frontline states. The Afrikaners saw themselves fighting a war against a Soviet-backed Total Assault, a figment of their propaganda. Right wing groups in the US allied with their attempts to stop independence for Namibia. The American right wing lobbyis Jack Abramoff, now in prison for bribing members of Congress, was behind a propaganda movie called Red Dawn to demonize liberation struggles. Like Obama today, he was branded a Marxist and worse. What the South Africans didn’t count on was the role played by the Cuban army which defeated the South Africabs in a battle in the Southern Angolan town of Cuito Carnivale and forced the regime to back town. That victory, followed by the independence of Namibia, beame a forerunner to what was to come in South Africa. This is why Fidel Castro attended and was hailed at Nelson Mandela’s inauguration as President in 1994. All of this pressure from below led to changes from on high. History is not made just by great men, even if that’s what TV coverage revolves around. Nelson Mandela who was freed 20 years ago this week spoke to this many times even as all the TV networks wanted was an “exclusive” interview with the Great Man. They referred to that as the “Big Get.” Globalvision’s attempt to challenge this narrative, said, in effect there was another way to tell the story, a more truthful way.